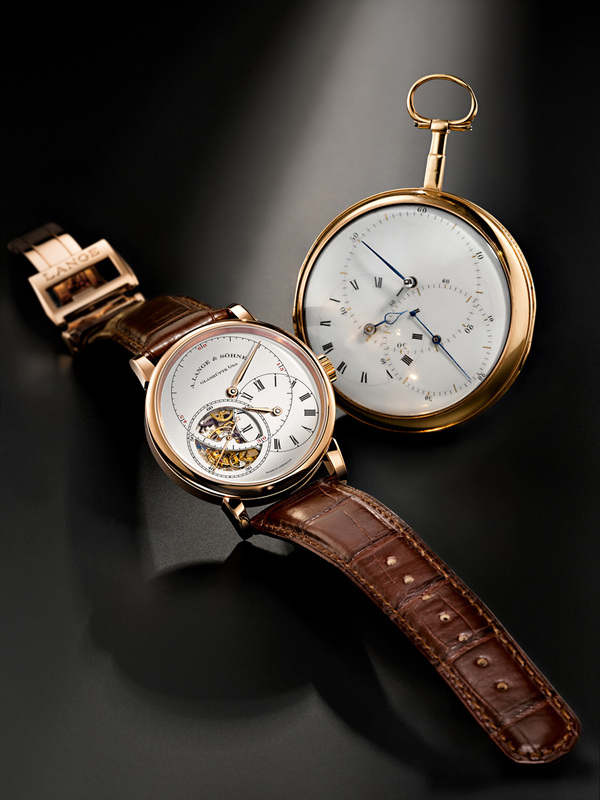 Lange has just unveiled the the Richard Lange Tourbillon Pour le Merite, a tourbillon with a regulator dial inspired by a pocket watch created by 18th century Saxon horologist Johann Heinrich Seyffert. 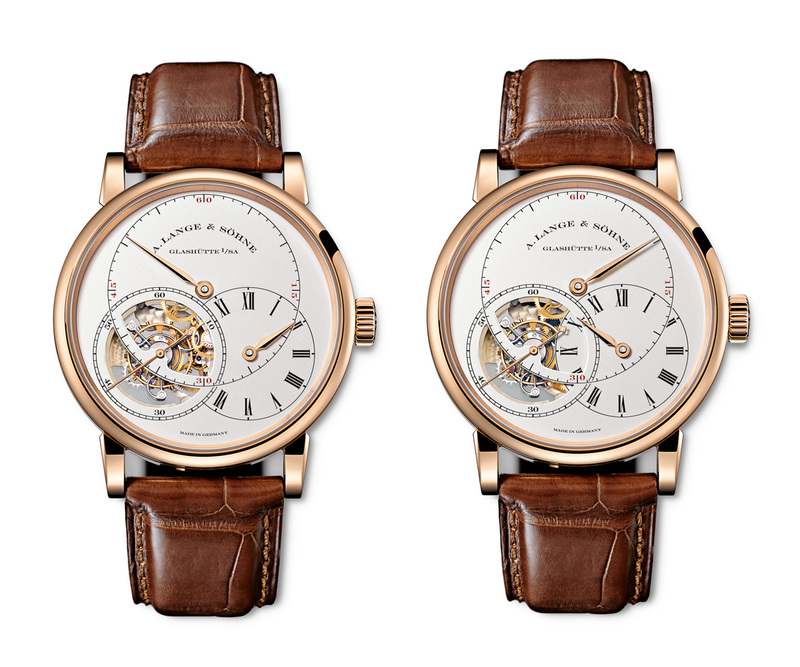 The Richard Lange Tourbillon Pour le Mérite features a tourbillon, chain-and-fusee mechanism as well as a patented hack seconds device for the tourbillon. 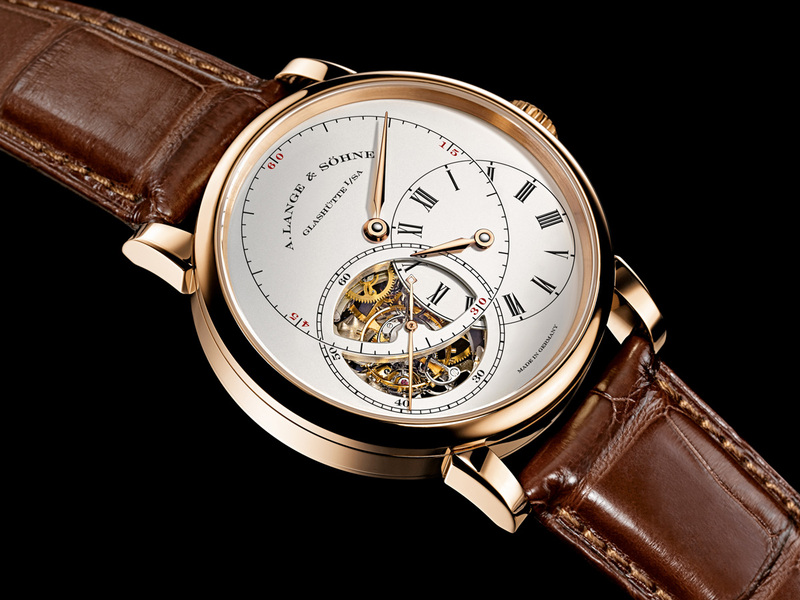 And like all the tourbillons in the Pour le Mérite series, this has a diamond endstone. 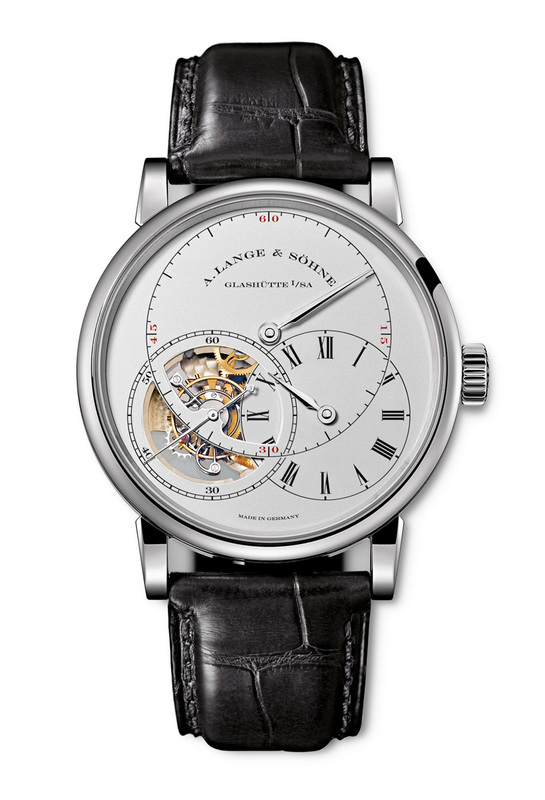 The primary innovation for the new Richard Lange Tourbillon is an hours disc showing the Roman numerals VIII to X which jumps into place at six o’clock and then retracts at 12 o’clock. 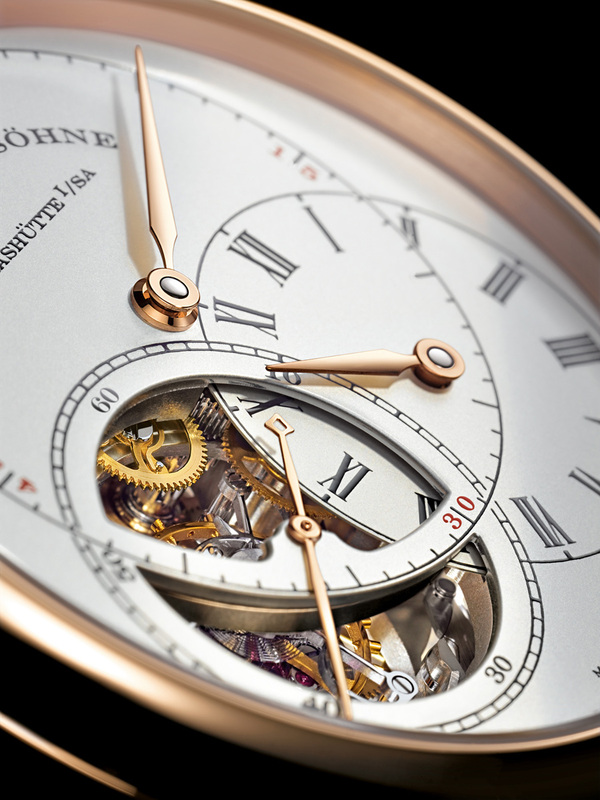 This allows the tourbillon to be viewed unobscured through the circular aperture on the dial at all times, except from the times of six to 12. 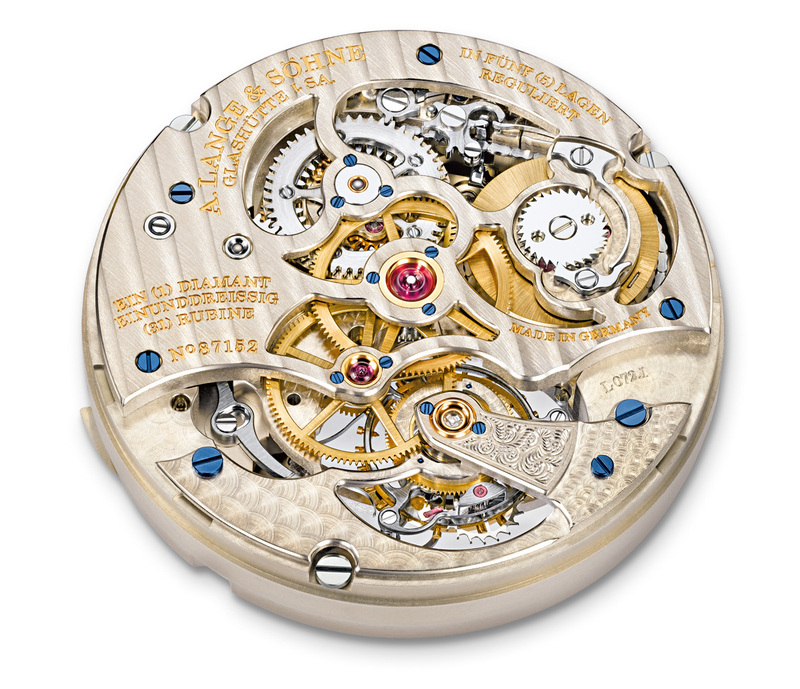 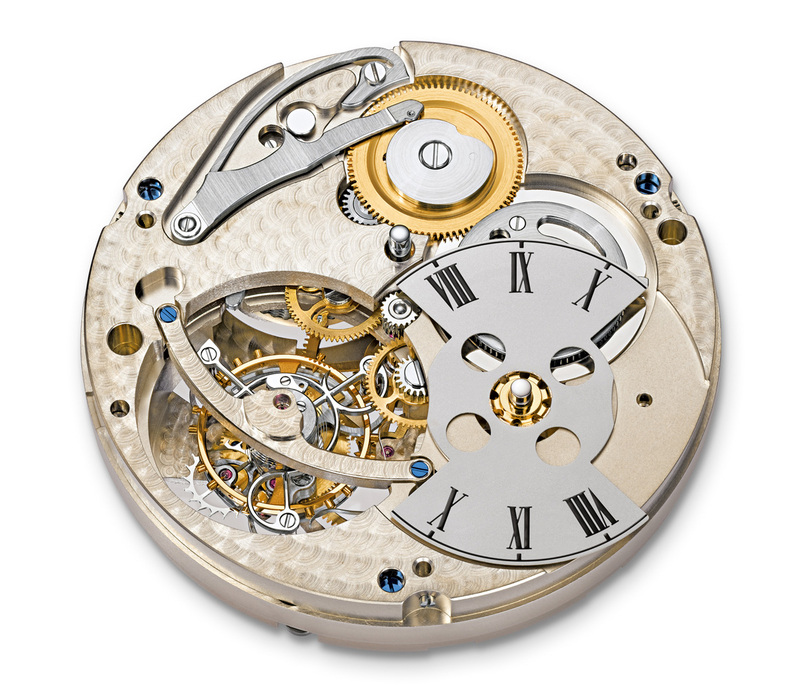 The case is 41.9 mm in diameter, and the movement has a power reserve of 36 hours.